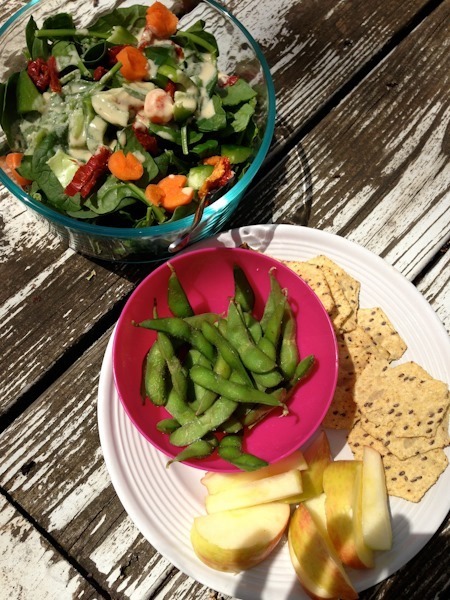 Today’s nutrition post comes from my friend Robyn here in Charlottesville! 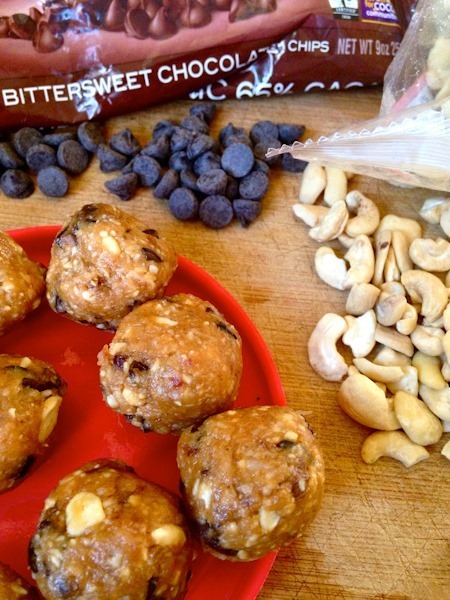 Robyn writes a blog at The Real Life RD and also has an online nutrition practice – Nutshell Nutrition. Take it away Robyn! Our culture is obsessed with diet and exercise. We take pride and gratification in eating less and moving more. How many times do we see magazine covers with "Get your beach body in 8 weeks!" and "4 week summer slim down" and "Lose weight without starving!" And then, because we’re captivated by the cover, we peak inside and discover a 1,500 calorie meal plan and workout regime that’s suppose to be the golden ticket. And somewhere in the article it claims, "you’ll never go hungry" and "eat more and still lose!." Far too often, people come to me looking for answers, and after a quick recall of what they’re eating, it becomes very clear. They are eating 1,000 or 1,200 or 1,600 calories a day in an effort to lose weight and they’re frustrated because the scale isn’t budging. Often too, they’re exercising more than enough and they’re hungry, and therefore irritable, and just plain unhappy. Then there’s the other type. Those, mostly women, who swear if they eat more than such and such amount of food, which is usually 1,200-1,600 calories, they will surely gain weight. And on top of calorie restriction, they are exercising too. And this is so they can maintain their weight. Eating that amount of food and exercising just to maintain their weight is probably very true. This is because the body is in, what I call, metabolic hibernation. Meaning the body’s cells have turned into warehouses instead of batteries. The body is storing instead of burning anything and everything that is eaten because it thinks there is a shortage of food since it’s not getting fed the calories it needs. Think of it like this. If you’re broke or living paycheck to paycheck, you’re sure as heck not going to spend your money carelessly because you’re worried you might not have enough money to pay the bills. And this breaks my heart. To see people, particularly women, who think they need to eat a minimal amount of food and exercise everyday to maintain their weight. And if they’re trying to lose weight, they’re killing themselves and seeing zero progress. And it’s because we have been brainwashed by the media and diet industry to believe the less we eat and the more we move the healthier we will be. The majority of women [I’m generalizing here] need 1,300 to 1,500 calories per day to just maintain LIFE. That means your body needs that many calories just to breathe, keep your heart beating, your kidneys functioning, and allow your cells to do their job. That doesn’t even include your day-to-day life activities like brushing your teeth, showering, driving your car, grocery shopping, cooking etc. And that doesn’t include the energy you need to digest food. AND that surely doesn’t include calories burned exercising. Our metabolisms, if we feed them right, are meant to burn everything we eat as fuel. It’s why the girl who "eats anything she wants" maintains a healthy weight. It’s because she hasn’t damaged her metabolism. Our diet plays a huge role in balancing hormones too. And when hormones are out of whack that leads to cravings, irritability, fat storage, and unnecessary stress on the body. Most times, you’re eating just because you’re "suppose to." You rarely ever feel hungry. This is a good sign that your appetite stimulant, ghrelin, and your appetite suppressant, leptin, are out of balance. And one of the ways those can get out of balance is by insufficient calorie intake. 2. You don’t get your menstrual cycle or it’s irregular. You can certainly lose your period for reasons other than under eating, but one of the biggest reasons women lose their menstrual cycles is because they aren’t eating enough. When the body isn’t getting the adequate energy it needs to function the first place it will compensate and shut down is the reproductive system because we don’t actually need it to sustain life. We also need enough body fat, which is different for everyone, to have a period each month. This is because estrogen is made of fat, specifically cholesterol, therefore we need fat to make estrogen. 3. You have increased cellulite and/or cellulite in atypical places. Now, hear me out…cellulite is NORMAL. I have lots of it, it’s what my momma gave me, and I embrace every dimple. But if you have increasing cellulite and you’re eating "healthy" and exercising, that is an indicator of hormonal imbalance. If you are getting cellulite in unlikely places, like the front of your thighs, your triceps or back, then that could be an indicator of hormonal imbalance and your body storing fat instead of burning it. 4. You have terrible sugar/carb cravings. When your body isn’t fueled properly and your cells aren’t nourished your brain starts telling your body it needs energy fast. And sugar is quick energy. A fast metabolism can easily balance blood sugar levels when your body is nourished with the nutrients and energy it needs, and therefore sugar cravings are no more. 5. Your skin and nails are cracked and your hair is dry. This is indicative of hormonal imbalance and can be related to an inefficient thyroid. And your thyroid is your metabolism’s best friend or worst enemy. But there’s good news. You can restore your metabolism. And once it’s restored and repaired, your body can burn what you eat as fuel because it knows more food is always coming in. It never stores anything because there will always be more. It’s like the millionaire. They spend money like it’s no big deal because they’re never worried they’re going to run out. The average woman [again, generalizing here] needs at least 1,800-2,000 calories per day to simply maintain her weight. Then if she’s exercising she’ll need even more. That’s not a lot, that’s NORMAL. I’m not a calorie counter and I certainly don’t think anyone should be, I believe in “counting” nutrients. But I do think it’s important to know what an adequate amount of food looks like to make sure you’re fueling properly. When people come to me in hope of losing weight, they usually think I’m crazy because I tell them that they will be eating more than ever before. But this is simply human physiology. We are designed to be energy burning machines. Because less is not more. More is more. Our bodies are meant to be nourished. And thrive. And be well. You don’t have to exercise everyday, eat healthy all the time, and deprive yourself of delicious food and spontaneity to maintain a healthy weight. You CAN restore your metabolism. It’s why I started Nutshell Nutrition, to help others find food freedom. Because food is to be enjoyed and celebrated, and everyone deserves joy, health, happiness! 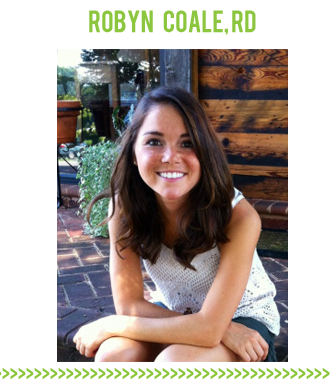 Robyn Coale, RD is a Registered Dietitian, marathoner, coffee addict and lover of all things nut butter who is passionate about helping others find food freedom and nourish their body well. It’s why she started Nutshell Nutrition, an online nutrition consulting practice that de-bunks nutrition myths and helps people break free of calorie restriction and over exercising to restore metabolism and balance hormones. Instead, it’s about eating more and exercising less to live a joyful, intentional and happy life. You can find her blogging at The Real Life RD about good eats, plant strong nutrition, resting more, and living imperfectly. This is a great article, Robyn! As an RD, I also stress the importance of eating ENOUGH to burn more. Glad you are setting the myth straight about eating less to maintain. Great post ! Just a question: If your body is use to 1200 calories a day and you decide to increase that by 300-500 calories i understand that weight gain will be an immediate result because your body is not used to that many calories. But how long until your metabolism is restored and those extra pounds come back off? I know it will be different for each person.. but weeks..months..or years? It’s different for everyone but typically it’s months, it’s not a quick fix but a worthwhile one! Loved your post Robyn. It’s such a breath of fresh air to hear someone talk about eating in a sensible, HAPPY way! Wonderful attitude, keep it up! Great article! I’ve been struggling with this lately. I lost all my baby weight to end up at 150lbs, which is still about 15-20lbs more than it should be for my height. After the holidays I tightened up my diet, cut out a lot of caffeine and sugar, added 2 more days of exercise (for a total of 5 a week) and….. nothing. No budge in the scale. I’ve had a lot of experience losing weight (90lbs down right now) so I KNOW that something is just not right. I’m thinking it might have something to do with the hormonal birth control I’m on (Nexplanon), but since I really can’t have a baby right now, I’m stuck! I’d love a followup to this article discussing some ways that we can rev up our metabolisms. I know eating more is one way, but I stay in the 1600-2000 range every day and it hasn’t made a difference for me. What does 15-20 pounds more than you “should” be mean? You body doesn’t follow the BMI chart, maybe the weight you are at is the weight your body is happiest and healthiest at. I know this is not what women want to hear, but I hate to think of women doing damage to their bodies that are at a healthy weight just for the sake of looking thinner. Awesome post! This made so much sense to me and got me excited to rebuild my metabolism! Thank you for sharing, Robyn and Kath! Couldn’t agree more! Terrific post and really, this is the stuff magazines should be preaching, not those slim quick burn more articles. agreed! It would likely help reduce the occurrence of disorder eating too! :):):):) a million thumbs up. Yay! Glad to see my two favorite blogging RDs collaborating! I disagree that those who can eat what they want and still stay slim are just those that “haven’t messed up their metabolism”. It is a proven fact that everyone is born with a varying metabolism, I think stating this puts the blame on those who naturally have a slower metabolism. I am not saying that “slow metabolism” is an excuse for poor health and body weight. As an RD I spend a lot of time discouraging this type of thinking. However, our job is to encourage individuals to have the healthiest bodies and minds they possibly can, I’m not sure that shaming is the best tactic to achieve that. Hi Jessie, thanks for your comment! I in no way intended “shaming” and don’t think I insinuated that-I was making a general statement that women who other women view as “eating whatever they want” typically don’t have a history of restriction/over exercising/ yo-yo dieting. Absolutely we are to encourage healthy minds/bodies- that’s my main message, hence this post. Women should be embracing their bodies and loving them so thank you for spreading that message too! Media and Hollywood can make it tough for women to accept themselves and understand what it means to be a healthy human being. We need more accurate and insightful information shared to help debunk these stereotypes and myths. Thanks for being a constant source of inspiration for living a healthy and happy life! Ha 🙂 they are on the blog Laura! I love this!! I feel like so many women automatically hover to 1,200 to lose weight! My mom has a terrible time losing weight and I honestly think her metabolism is damaged. I swear she eats like a bird and I keep encouraging her to eat more but it’s a hard thing to communicate well enough to make a person trying to lose weight understand. Personally, I am intrigued by the macro-nutrient break-down. I’ve tried counting my macros before but am not sure I noticed anything crazy. I’d love to learn more! Agreed! I know many women too and it can be challenging for people to wrap their minds around. For macro breakdown, I’m a little confused on your question so if you can clarify I’d be happy to answer the best I can! Yes, yes, yes! I tell my weight loss participants ALL THE TIME that it sounds crazy but if they want to lose weight they have to eat more. I have one in particular who had done the horrible HCG diet for months (seriously), eating 400-500 calories a day and lost next to nothing. Surprise, surprise, on our program she’s lost 30+ pounds! I wish this wasn’t such a widespread misconception about intake. Love the paycheck to paycheck analogy. Great post! I’m a nutrition student currently applying for coordinated masters and dietetic internship programs (match day is April 6th eek!). I’ve never commented before, but I just had to say I LOVE this. There is so much misinformation floating around out there and with so many women thinking that they can’t eat more than 1200 calories a day if they want to lose weight it’s so refreshing to see this post. Thank you! This is my FAVORITE guest post you’ve featured on KERF. I’ve been reading Robin’s blog for many months now and I find her approach to nutrition so refreshing and freeing. I’m implementing a lot of her tips in my own life as I try to put on a little weight to even out some hormonal imbalances. Kath, thank you for sharing your friend, Robyn, and her article. I found this very informative. Thanks again! Such a great post! When I was actively health coaching I ran into the same thing- women eating so few calories and not losing weight. I own a metabolic machine and it would blow their minds when we could measure their RMR and factor in lifestyle and get a much higher number of what they should be eating. I love this post! I know all too well what it feels like to restrict/workout endlessly because its what I thought I was ‘supposed’ to do to ‘be healthy’. Gone are those days! I eat much more now, have more muscle, and workout less. Say what?! My body (and everyone else’s) is smart and knows what it needs! It’s as simple as learning to be in tune with that. The problem is with all the outside noise/advice that can be easier said than done! Reading this post is definitely insightful for me. I am in marathon training (first full marathon!) and have gained about 6 pounds and it’s driving me crazy. So today I went on My Fitness Pal and said I wanted to lose the 6 pounds and they told me I should be 1,220 calories per day. Now, I’ve been cutting back on what I eat just because the scale has been freaking me out so much, but with running 40 miles a week on average plus strength training 2-3 times a week, I’m hungry! I feel like I’m losing this battle with the scale, but I know that if I cut down to 1,220 calories I will not be able to train for my marathon! I thought it was crazy that to lose 6 pounds they suggest cutting down that much. I feel so lost with my nutrition right now! I’m not sure that really helps me. In the past when I used MFP, I was taught to not eat those calories I burned working out so I ignored them or didn’t put them in. I only ate the amount of calories MFP gave me as a baseline, so the 1220. But anyway, maybe I shouldn’t start tracking what I eat again. I’m not eating any different and focusing on real foods, staying away from processed. I just don’t know what I’m doing wrong or even if I am! If you’re going to track food you need to track fitness too, so it should add them back automatically. But I agree with Robyn – eat as well as you can and don’t worry too much about the numbers. They will come out with the wash.
ditto to kath! and with marathon training, I wouldn’t go into it expected to lose weight- all the mileage is a huge stress on the body so you need adequate nutrition and sleep to recover and allow your muscles to repair and recover in between runs. Restricting calories will other further increase stress and could cause more weight gain. Eat well and crush the marathon! Thank you both! I have been tracking my food these last few days and found that I was only eating around 1200 calories regardless of how many miles I’m running. I think it’s still ingrained in my brain that that’s all I can eat from when I obsessively tracked my food. So now I’m making an effort to eat more to fuel my body better. That low calorie intake could definitely explain why I’m so tired all the time! Thanks again for the article. I’m not an expert but I really don’t think you can train for a marathon whilst dieting to lose weight! That level of training requires some serious fuel and plenty of distance runners tend to put on weight while training – it’s just the nature if the beast! I ove this post Robyn and thanks to Kath for the additional set of eyes into what some of us can’t just figure out. This is such a great post!! I love this take on nutrition!! And all the foods look so delicious and healthy!! WIN WIN! 🙂 Thanks for sharing! I rarely comment, but I also agree that this is the BEST guest post yet on KERF. I went years with food issues and when I finally got help (from a therapist) my cycle started again almost immediately. Not a single doctor or gynecologist seemed to think anything was wrong with me because I wasn’t underweight or over excercising (their solution was birth control). One of the first questions my psychologist asked was about my monthly cycle (which seemed a little odd to me). When I told her I didn’t really have one she knew it was from the stress I was putting on my body in a diet/restrict/binge cycle. She was my angel and it sounds like you are the same for many other women, Keep it up, you are a lifesaver! Robyn- I love your blog! I was wondering if you think birth control could have an affect on hormonal imbalances/weight gain. Thanks! Hi Coco! It is very very likely! I enjoyed reading this post, but I have a question. What should I be eating to start getting my metabolism back on track? I don’t count calories, I do eat a salad medley for lunch each day with some greek yogurt for protein, but inevitably around 3 o’clock I will start craving carbs like mad. I try to curb it, but some days are worse than others. Any tips? 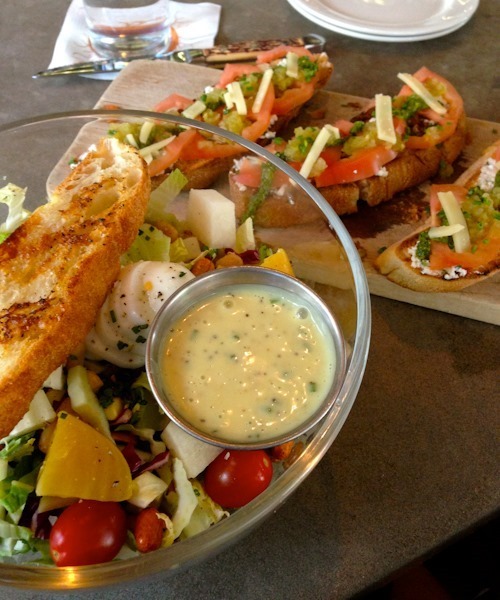 I would build some carbs into your salad and see if that helps. I also find I need a little something to get me through the afternoon – an apple and almonds or almond butter or a handful of trail mix. But a hearty lunch should do most of the work. Great post! Being a young women in my 20s and a retired D1 women’s ice hockey player I was under immense pressure to maintain a certain weight and physique during my playing career. I had to cut weight to hit weight goals, and as a result fell into the trap of an eating disorder. Many people don’t understand the expectations and pressures that exist when you compete at the highest level of sport. I’m now working on repairing the damage that I did to my body over the past few years, and you’re perspective and insight into proper eating habits and nutrition is greatly appreciated! Thanks Robyn! How does one figure out how much is an appropriate amount of food each day? When I started exercising just for my health, not weight loss, I was starving after my class, yet it was in the evening and I did not want to gorge. I would eat dinner and would be full and then two hours later, starving again. I realize that I have to eat more throughout the day, but I have always been pretty good about responding to my body’s signals for hunger and it is really hard to eat more when I am not hungry. Eating more throughout the day is something I definitely recommend- fueling up the tank early! Then working with an RD to figure out your bodies needs and once you get a grasp on how much your body needs, you might need an extra snack when you’re not “hungry” so you avoid that starving feeling late at night- hope I’m understanding your question right! Love this perspective! I know I definitely see changes in how I eat depending on how active I am and even things like the season and my mood seem to affect my food intake. I’ve never been a calorie counter, but I’ve entered information into calorie counting apps and rarely see a number over 1800 – even when I’m really active. I think counting nutrients is a much better strategy. Hi Kath! Thanks for your awesome presentation at OpenGrounds today. I learned a lot and I am excited to revamp my eating habits/share your ideas and suggestions with my friends and family. Can’t wait to trash my Splenda and Kashi Go Lean Crunch for some better granola! Thanks again. It’s a great post – and this message has been hitting me from all sides lately (another great post: http://corinanielsen.com/livefit/?p=1802). But my mind keeps telling me “I just need to lose 6lb (at 1,200cal consumed vs at least 1 hr exercise a day) then I’ll start reverse dieting”. My brain just won’t let me risk the weight gain! 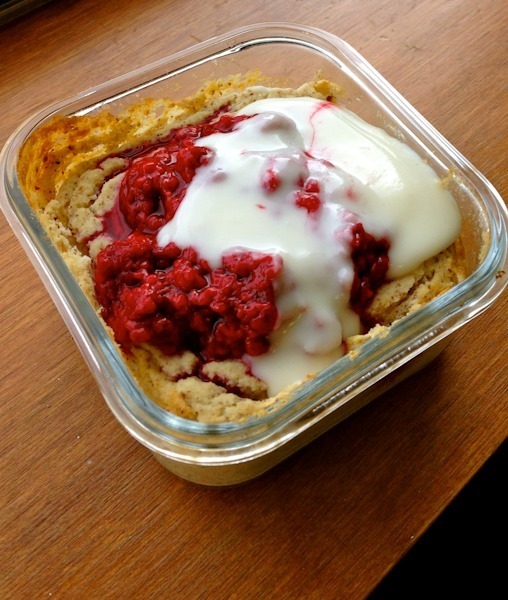 Oh, and I just realised I discovered Robyn’s blog yesterday through What I ate Wednesdays and loved her post on carbs! I’ve just become a follower! Um this is a great post!! and the food pics? 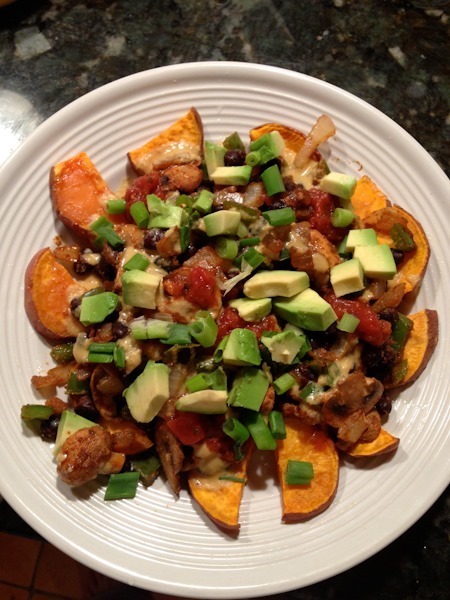 so gotta make that sweet potato avocado pile o salad-y thing. Such a great post and so relevant to what I have been researching lately! I usually eat around 1300-1400 cals, but exercise intensely an hour a day, so I KNOW that I am one of these people who could benefit from eating more! Do you recommend slowly upping calories to the higher range, or just going for it and waiting for your body to level out? Just going for it! Your body will feel full at first but then the metabolism will wake up and the body will adjust and you will wonder have you lived on less! Thank you SO much for this post. I’m just going to be real…I am a recovering anorexic, and the one thing I wish I could go back in time and tell myself is how much restricting messed up my system. Everything gets thrown out of whack and your metabolism short circuits. I have made TREMENDOUS progress in the last 6 months, but I still have a long ways to go. This post was great inspiration and reminded me of the things that are often very difficult to remember. That less is more, food is fuel, and eating isn’t something to be scared of or earned. For me, the “signs of a damaged metabolism” are at an extreme level (because anorexia is an extreme disorder), and only now are starting to fix themselves. This post gave me a lot of hope and good tips. Thank you SO much, from the bottom of my heart!! Three cheers for you! This article was so refreshing! Thank you! I love this post so much. Warehouse and batteries concepts make sense so much. No wonder why I gained from eating just more because my body was in the warehouse phase. Thank you for arranging this guest post. I am learning more and more how to embrace myself with positive body image though whole foods. I’ve recently come across your blog and I’m a big fan! I have a question for you — do you have any more specific advice for women with secondary amenorrhea? This is something I’ve dealt with on and off ever since I suffered from an eating disorder at thirteen. My period often comes during breaks from school (I’m finishing up my senior year of college right now), so I think stress is a factor, but of course food and exercise are also involved. While I no longer intentionally restrict my food, but I am pretty active and struggle to fuel myself appropriately. Would you recommend that women with irregular periods stop exercising until their cycles become more regular, or do you think it’s ok to keep working out (within reason) and just add more food? I work with a lot of women with secondary amenorrhea, and I recommend stopping all exercise and eating lots more- often more than we think we need. Everyone is different though and sleep + stress are a factor too. Email me and we can chat further if you like! So enjoyed this article. How does a 58 y/o woman who does cardio 5x a week( at least 62-70 min.). I run 6-7 miles 3 of these days ( 18-20 miles a week). I am trying to understand how to translate the above to my post-menapausal body vs. the above woman who is enjoying their 20-39 something body. I find that the nutritional needs are different. What should my daily caloric intake be? I do fuel well and eat small meals throughout the day– yet I seem to see my scale “creep” up if I ever have any “extras”. Frustrating as I as well walk 2 of our dogs daily, 1 mile a.m. again in the evening another mile. I see on plates here people enjoying after dinner dessert….. I haven’t had in years. Feel like maybe I am doing something in-correctly. This article is great for me as I feel I will need to do some research on further understanding the post-menapausal nutrition needs of a woman. Thank you. Thank for your comment! Email me and we can talk further! Thank you so much for this post. I will share my story, which so many people find hard to believe. Several years ago, I lost a considerable amount of weight on Weight Watchers. I was exercising about an hour every day and although the WW plan allows (and encourages) you to eat those extra points or calories if exercising, I thought I’d be smart and just stick to my minimum points. I was constantly starving, exhausted, having leg cramps, and my weight stalled. I decided I was finished with the weight loss and went on the WW maintenance program where I added extra calories each day in order to maintain my weight. Well, guess what happened? To my amazement, as I begin to eat MORE, the pounds melted off of me. In a very short time, I dropped an additional 25 lbs! I realized then that with all of the exercising I was doing, I had not been eating enough. It really is true. You have to eat enough to fuel your metabolism. I cringe every time I hear a woman say, “I barely eat anything all day long, and I can’t lose weight.” Please do not be afraid to eat more. Our bodies are not designed to survive on low fat and fat free foods all day. Fuel it, especially if you’re exercising. Thanks for advocating a realistic eating plan! I hate seeing people starve themselves. I’m curious- this post is aimed towards women but what would be the signs to look out for in men? I am one of those women who “can eat anything”, but my husband struggles constantly. I know he skips breakfast with the idea that those are calories he doesn’t need, but that just seems like a bad idea to me. great question! the same idea goes for men, except they don’t deal with as much hormones parties and monthly cycles 🙂 first step for him is to eat breakfast for sure! I understand what you’re saying about making sure you eat enough to keep your metabolism going. I think this is great if you are trying to maintain weight. But if you’re trying to lose weight, how are you supposed to do that without either burning more than you take in, or eating less than you burn? Not “vanity” 10 lb when you’re already in the healthy weight range and not “massive weight loss of 100+ lbs, but you’re about 20-40lbs overweight? I really needed this post today. Thank you! Ok, Robyn might be one of my new favorite people ever. I absolutely loved this post, found it incredibly helpful, and I don’t want to take away from that by writing a really long comment, so I’ll just say thank you to both Kath and Robyn! This was a great reminder!! I too live with an eating disorder, and over the past 7 years, have seen my body react differently to different amounts of calories. The most recent example is that about a year ago I was trying to get myself to eat more, and increasing my calorie intake by 100 every few weeks, I started at about 76 lbs, eating around 1100 calories a day, and by the time I was doing about 1600 calories a day I had reached 81 lbs and got scared so I slowly decreased my calories and now am back down to the 1000-1200 level. Yet, since decreasing the calories, I have managed to gain an additional 5 lbs…. so it is looking like the decrease has not correlated with the expected weight loss…. I intend on experimenting with this, and trying to eat 1500 calories per day for the next few months to see how that affects my weight. I really want to be able to eat more – quantity wise – as I never seem to be able to tame my hunger at less than 2000 calories. When I was forced into the hospital for weight gain at ages 15 and 17, they had me eating around 4000 calories a day, and that was because the more I ate, the faster my metabolism got, so in turn, I needed even more to keep gaining (though they were going for extremely rapid gain). Physically, I had no difficulty consuming up to around 3500 calories a day. I have an outrageous appetite, and it seems the more I eat, the hungrier I am. Another thing I have learned over the years is that it really doesn’t make a big difference in how I feel (may be different for different people) whether I eat super ‘clean/healthy’ or include processed food (including processed cheese, fat free miracle whip, processed veggie meats, breads, etc). I spent the past several years of my life completely obsessed with only eating the purest foods, and have experimented with going vegan, gluten free, raw… and quite frankly – I feel no better eating in any of those ways than I did when I was eating the processed foods. Only difference is the decreased stress and freedom I get when allowing myself to consume some ‘imperfect’ foods. I became vegetarian at age 11 for animal compassion reasons, and didn’t notice any health difference between my meat-eating and vegetarian days, so while I don’t mentally feel comfortable eating meat, I wouldn’t tell someone it is ‘bad’ for their health. I feel that the only way to know what is “good for you” is to try it for yourself and see how it makes you feel. These are my latest thoughts on food, and finding freedom, and would love to hear your thoughts (Robyn, Kath, and readers)! PS. I struggle with severe depression and anxiety and the most important aspect of health for me is that which will help me escape these metal issues. So far my various ‘ways of eating’ have not seemed to have much affect on my moods, which is why I have been feeling like ‘eating healthy’ is not as important as I am used to believing it is. I think perhaps it is more important to think in terms of eating whatever way makes you feel best. I came across this post through Clare from Fitting it all In and I have to say thank you; it was scary accurare. I have some changes to make. This post really rubs me the wrong way. I am sedentary, with a desk job. I work eight hours a day and go to school six hours a day. According to my dietary analysis by a professional registered dietitian, 1600 is my recommended daily intake to maintain my weight. I am not starving myself. In fact, I found that this is my healthy medium that I feel full and satiated. I am meeting ALL of my DRI’s for vitamins and minerals. I am exceeding the amount of vegetables and fruits I should have per day. I actually eat a little too much protein as a vegetarian. Yes I’ve gone on diets in the past and NO my metabolism is not screwed up. I am currently trying to lose weight because eating 1800 calories a day and sitting at a desk job all day, I’ve gained a little weight. I cannot eat whatever I want. Watch what you say. You should be empowering women, not shaming them. Thank you for your comment, I in no way think this post comes across as shaming and that certainly is not my intention–it’s to empower women to fuel their body well and not restrict and ignore their hunger cues. This post is not geared towards individuals but rather women [and men!] as a whole. Even though I know little to nothing about your lifestyle personally, I would still argue that 1600 is fairly low and the two physicians I work alongside would argue the same thing. I completely respect your RD as a professional- it seems you have a trusting and healthy relationship with her and you are happy and that’s what matters! As an MD, I find there is too much hype and importance placed on metabolic damage. The 5 main points listed above don’t prove someone has such condition. Let me explain. without treatment because their body rejects food at no fault of their own. Mental illnesses are extremely taxing to the point it affects someone physically. This is not the same as metabolic damage. -Irregular or no menstrual cycle: A patient born with Turner’s Syndrome. Also, it is very common for women to have irregular menstrual cycles. Very few are blessed to have the perfect 28 day cycle without the use of birth control. Cellulite in atypical places: Cellulite can be found anywhere fat deposits accumulate. This is almost everywhere in the entire body. A “weird” place would be someone’s palm or sole. Like you said, it typically collects in areas such as gluts, abdomen and thighs. This includes the front of the thigh (quadriceps) and arms (triceps) included. Terrible Sugar Cravings: A diabetic experiences this sensation every time their blood sugar drops. They need to maintain their blood sugar through medication, insulin or by eating small amounts every few hours. Eating more doesn’t always equate to an increased metabolism. This is where other health issues arise such as obesity and atherosclerosis. Dry Skin and Cracked Nails: These signs are so vague it could be any type of anemia (pernicious, Fanconi, haemolytic, aplastic etc.) or hypothyroidism. Most people with true metabolic disorders are born with real diseases such as Niemann Pick, Tay-Sachs or Gaucher’s. Not many have these pathologies and some don’t live very, long either. Starving children with nutritional disorders with marasmus or kwoshiorkor found in third world countries have real health issues. Not someone whose frustrated with the inability to lose a few vanity pounds. It’s a fact that as we age, our metabolisms slow down, it’s inevitable. Please do not misinform the general public about a hype or fad without research and not truly understanding the human body first. I felt blessed to have received my MD when I was 24 and I wished then, I had the same metabolism I did at 19. To anyone out looking to become healthier, please see your doctor first before self-diagnosing from anything written on the Internet. Thank you for your comment and thorough response. This post is written to people in general and it’s simply impossible to take into account every disorder or disease. The post is meant to make a point that restricting your food intake and ignoring your hunger can and WILL lead to a suppressed metabolism and your body not being able to efficiently burn what you are eating. I have worked alongside a brilliant endocrinologist and primary care physician so while I completely support your statement on people needing to see their docs [because I am NOT an MD] I also feel I have a good understanding of the human body and practice and write based on scientific evidence. What I’m referring to here isn’t necessarily a metabolic “disorder” but rather symptoms of metabolic suppression that can be reversed with proper nutrition and lifestyle habits. Some one who is having trouble losing or maintaining their weight doesn’t have a disorder and isn’t malnourished- I don’t think and I hope that wasn’t the message I portrayed. A sudden accumulation of cellulite is cause for concern and is directly related to hormones among other possible things too and while I do respect your professional opinion- based on lots of research by Dr. Neal Barnard and the NIH and from my own clinical experience and time spent working with an endocrinologist- medication is not required to maintain stable blood sugars in diabetics, a plant based diet can do incredible things for diabetics and this with insulin resistance. Thank you for your comment and for bringing about an interesting discussion! I understand your point that someone will eventually lower their metabolism by starving themselves through severely cutting their food intake and excessive exercise. But this person will still lose weight over all. They will only gain if they return to regular eating habits and this starts to sound like yo-yo dieting. Restricting food intake, suppressing hunger purposefully and not losing weight if someone is already at a normal or higher weight, sounds like you could be targeting someone with bulimia nervosa. I don’t think you meant to target this audience, but as you know, this is a very common eating disorder among women. If someone is going through this, they need to seek treatment immediately to prevent any organ damage and to treat the root of the problem. I hope you are able to see where I am coming from based on what you have written. I know it’s meant to be a very general post, but either way people need to be aware of their own health and should take actions in accordance with their physician. In your post, you didn’t specifically say “a sudden accumulation of cellulite is concerning” but rather “increasing”and it’s not always related to hormones. Some people believe they are eating healthy but aren’t in reality because they don’t know what true, healthy foods are and what to look for on nutrition labels. Some people don’t realize their eating habits are unhealthy and it becomes shocking to them. There are many out there who need to learn how to eat before jumping to the conclusion it’s their hormones and the reason for the changes in their body. I agree there is a tonne of research regarding the benefits of a plant based diet for diabetics. I know that medication is not always required but many still need them so please be careful what you write. Patient’s born with type 1 still need insulin as do patients who acquire diabetes post-surgery from becoming immuno-suppressed. Unfortunately, stopping medications can’t apply to everyone and I hope you were not insinuating this. My father who is 5’7 and 120 pounds became a type 2 diabetic shortly after reaching the 5th decade of life due to genetics. It took him 10 years before he was able to stop taking prescription medications to learn how to control his blood sugar naturally through diet, exercise, while taking into account hypertension and genetically related heart disease. As you can understand see this is a very complicated case. Additionally my father was vegetarian for most of his life because of the religion we practice. He has the opposite problem of a typical, obese type 2 diabetic and still has an extremely difficult time gaining weight he needs, without spiking HbA1C levels. My father had no choice but to start eating animal protein because he was always weak and fatigued with minimal activity. I should mention that an iron deficiency or any other type of anaemia were ruled out as a possible cause for his tiredness. It was mentally challenging for him start to eat meat, but it was deemed necessary to help his symptoms as his general practitioner decided. I would like to think all physicians and people who are interested in science in general are open to all possibilities and don’t generalize because everyone and everything should fit into a category because of what we know and what research has taught us. I don’t think you understood my point that a normal person having trouble losing some weight should be grateful they do not have a disease and is not in same situation as a starving child. If such a person does not realize that there are bigger world issues to be concerned about, and is consumed with their weight to the point it overtakes their day-to-day life and real responsibilities, then this person is either ignorant or needs to seek help for what could be a mental health issue. If you are writing based on scientific evidence and research papers, please cite your sources properly for people who wish to continue reading and to give credit where it’s due. Thank you for responding and I hope you continue life-long learning in food and science. I am so glad to have read this.I started severely restricting due to digestive problems after major surgery.The nausea was…and is….terrible.I have been in and out of the ER,despite telling the doctors I lost 25 pounds in a month and was barely eating,they would send me on my way,saying .my lab work was fine and I was depressed.I know this is because I was a normal weight.I finally saw a dietician and have started to increase my calories.I have no appetite,so it is very hard…. Forgot to add,I also think my age was a problem,I am 62,so no one thought I could have an eating disorder. Thank you so much for posting this – it was just what I was searching for. I am recovering from restrictive eating habits and convinced that I have messed up my metabolism. I am about 5’4, thin frame and trying to maintain within a healthy range (for me) of 110-115. I have noticed, that during the last few months, I have restricted my food intake – slowly but steadily – from about 1900-2000 calories to about 1700-1800 calories. Since doing so, I have noticed a slight weight gain, edema, digestive issues and overall feeling of fatigue. Even though I know that you do not know my history, are these signs of a metabolism slowing down and can it happen by even slight under-eating, over a period of time? If so, how do you recommend speeding my metabolism up? Should I just go back to eating 1900-2000 calories or do it slowly? How long does it typically take for bodies to recover – or heal metabolism? Thanks again for your eloquent way of sharing. Also, I work out moderately – doing cardio 3 times a week and yoga 3 times a week. Sorry I completely disagree – I am 5ft 4 weigh 84lbs and maintain this only by calorie restricting to 850 calories per day and have done for 8 years. I work do lots of housework and exercise and manage to live function well – according to you I should be dead. Hey! Just a quick question – I’ve increased my calories from less than 1000 a day to about 1700. For a few weeks I even went up to 2000+ calories. I eat everything, mostly Paleo type whole foods. I also eat carbs – fruit, quinoa, potatoes. In 4 months I’ve put on 20 pounds. I used to weight around 140 at 5’6″, now I weigh over 160. I also lift weights twice a week and walk / yoga every day. I’m uncomfortable in my clothes and worried that this weight won’t ever come off. I know I need to love my body, but it’s just not comfortable at this weight. Should I stick it out and keep eating?